When a volunteer and her mission team returns to their home community, CALMS encourages the team to meet together to reflect on what God has taught them individually and as a group through their mission experience. We also encourage the team to discuss ways they might share their mission experience with other members of their families and their congregation. Following their mission trip, a CALMS' staff member debriefs the team leader in order to help CALMS make needed improvements with our logistics, hear the team's suggestions, address issues with their community partners, and consider next steps for their team. 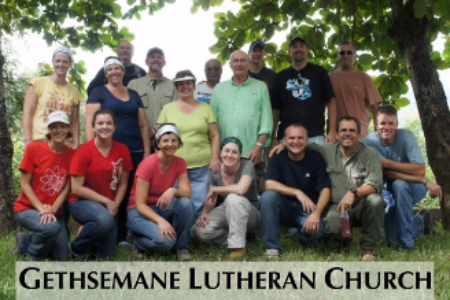 Since CALMS' mission teams and volunteers commit for a five-year period to serve in a specific Central American community or congregation, upon returning to their home in the USA, they will want to spend time together with their fellow team members evaluating and planning how they can help move the ministry forward. This plan for future involvement usually focuses on equipping Central American leaders to be more effective and helping their partner community and/or congregation impact their community with the Gospel. Where possible, US teams will also want to look for ways to apply the lessons God is teaching them in their mission service in Central America to their own hometowns. A number of teams have even been able to develop a local outreach to Central Americans living in their community to complement their Central American ministry.